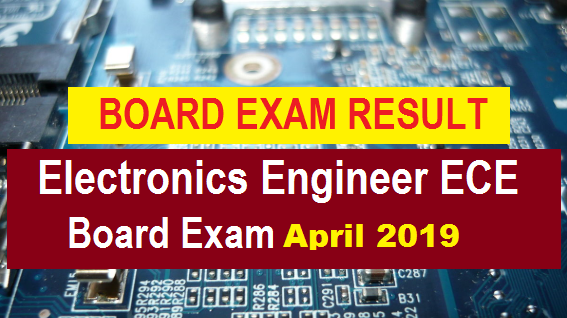 Manila, Philippines - Here are the Electronics Engineer (ECE) Board Exam Results April 2019 given by the Professional Regulation Commission (PRC). The list of passers, top 10, top performing and performance of schools for the Electronics Engineer (ECE) Board Results April 2019 will be available in this page soon. It is expected to release the result on Thursday, April 11,2019 - three days after the last day of exam. The examination was conducted in the cities of Manila, Baguio, Cagayan De Oro, Cebu, Davao, and Legazpi on April 3-5.